“The City that Makes Rome Blush: Five Reasons Why Palmyera’s Ruins Are So Important,” by Caroline Miranda (what a name!) of the Los Angeles Times, wrote a fascinating piece in the days leading up to the ancient Syrian city’s capture by ISIS. Included is a video by the BBC that shows some of the Roman ruins there. 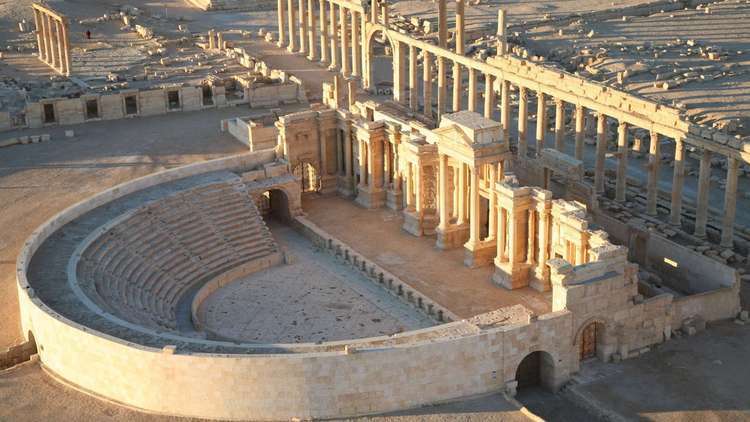 ISIS apparently has not begun destroying it yet, and the civilized world hopes that it will not. UNESCO officials visited the World Heritage Site before ISIS troops arrived to call for its protection, to hope that violence (military or religious) will not be wreaked upon it. 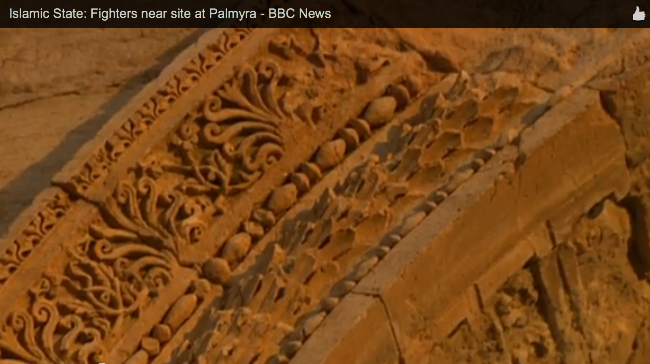 The rationale for this destruction by ISIS of ancient ruins is difficult for Westerners to parse. ISIS apparently wants to destroy any vestige of civilization that existed before the rise of Islam in the Middle Ages. This reason may be admixed with notions of idolatry. But let’s not heap all the blame on ISIS. The Saudi royal family is apparently behind that society’s destruction of Mecca under the heel of modern architecture – for similar reasons. This entry was posted in Architecture, Architecture History, Art and design, Other countries, Preservation, Video and tagged Ancient Rome, Archaeology, BBC, Caroline Miranda, ISIS, Los Angeles Times, Palmyra, Syria, UNESCO. Bookmark the permalink.